Happy Diwali to everyone!!! We are back again with 40 beautiful and hand picked wallpapers for the occasion of Diwali or Deepawali. All the wallpapers are of high quality and are very beautiful and colorful. Below is just the preview of wallpapers, to download all the wallpapers in high quality, use the download link provided below. The size of the zip file is 14 MB and contain 40 Diwali images. This year Diwali will be celebrated on 30th October all over India. 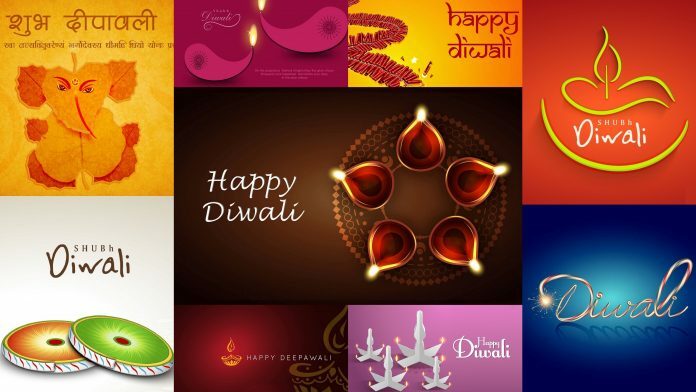 Diwali (Deepawali) is a festival of lights, sweets, and happiness. So we wish you a very Happy Diwali, have a safe and beautiful Diwali. Please note that we have not made these wallpapers and we only have collected it from various free sources. The credit should be given to original artists. If you have any complaint regarding the copyright of any of the above-posted image, then please do contact us via our contact page, we will reply back as soon as possible. Hope you like the collection of these Diwali wallpapers and images, to get more such free wallpapers, please check our wallpaper section.